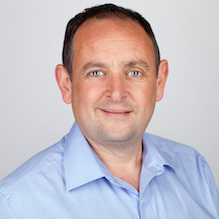 Timeline Management Team - Timeline Television Ltd.
Daniel McDonnell began his career as a trainee at the BBC in 1989. He worked for the corporation for 17 years as an engineer and VT operator and in later years as an editor. He formed Timeline Television in 2006 to specialise in providing server systems and shared edit systems to the broadcast sector. The company has now grown to have more than 140 full time staff. Covering large sporting events such as the FIFA World Cup and Blue Planet Live, Timeline provides outside broadcasts, post-production and studio-based services to major UK and International networks such as the BBC and ITV, as well as to the independent sector. For the America’s Cup the company developed robotic, waterproof camera systems to capture the action from the competing yachts. It also recently designed and built the world’s most advanced IP 4K HDR outside broadcast truck. Dom worked within the Network and Server Operations team at the BBC and progressed to the position of specialist. He has worked as an EVS Operator and was involved in the formation of Timeline in 2006. In 2008 he joined Timeline on a full time basis, bringing his expertise in networks and servers to compliment his understanding of EVS servers to make Timeline the market leader in broadcast server systems. He has project managed the shared server systems on notable shows such as Wimbledon, the Open Golf and Volvo Ocean Race. After graduating from SAE as a recording engineer, Charlie joined the original Timeline team as Technical Director. In addition to his deep and wide-ranging knowledge of broadcast and post-production technologies, he is also a highly regarded picture editor, working on flagship programmes such as the BBC’s Formula 1 coverage. Charlie was part of the team which was awarded the 2011 BAFTA for Best Sports Production for the coverage of the 2010 Abu Dhabi Grand Prix. With over 30 years of experience in live TV operations, Nick’s career includes BBC News location work spanning Downing Street and many of the world’s trouble-spots. In BBC Outside Broadcasts, Nick steered the rapid growth of digital uplinks and RF cameras, managing the world’s leading team of RF specialists who delivered cutting-edge solutions in motorsport, sailing and athletics. At Timeline, Nick has overseen the huge expansion of OB & RF capability into our new Greenford facility. He works with many clients including the top TV production companies, making sure that we continue to deliver top-quality results across the live, OB and RF genres. Timeline is unquestionably the most exciting place Nick has ever worked! Simon is responsible for the managed services contract we have with BT Sport to run and operate the production hub in the former Olympic International Broadcast Centre. As well as managing the technology deployment, Simon leads 70 full-time staff and a pool of freelancers including studio crew, post production staff, engineering support and logistics. Prior to joining Timeline Television, Littler was head of production development at Dock10 in MediaCityUK. Before that, he held a variety of roles at the BBC including studio resources manager and outside broadcast engineering manager. 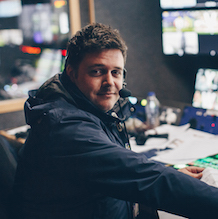 Guy joined the Timeline team in 2013 as Head of Operations for the launch of BT Sport; he is currently responsible for the commercial and operational delivery of a technical managed service solution at the BT Sport broadcast facility in Stratford. 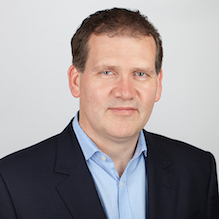 He has worked in broadcasting and digital media for more than 20 years and has worked for a range of broadcasters including ITV, RTL, ABC, Virgin Media, and NetPlayTV, where he was Director of Production. Guy has an MA from Goldsmiths, University of London and an MBA from the Australian Graduate School of Management (AGSM) in Sydney. 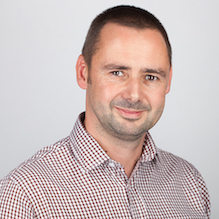 Malcolm joined the Timeline team in 2013 initially as Head of Post Production for the launch of BT Sport. Later in the year he took over the role of Head of Technology; he is responsible for the technical delivery and support of the services at the BT Sport facility in Stratford. He has worked in broadcasting for nearly 30 years. 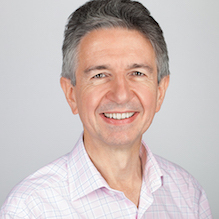 The majority of that time has been with the BBC where, as a senior editor, he specialised in specifying, costing, planning, building and delivering the post-production element of major events, including planning and running the IBC post-production for BBC Sport London 2012 Olympics. After leaving the BBC he joined Timeline to help design and build the BT Sport facility as the Post Production Systems project manager. 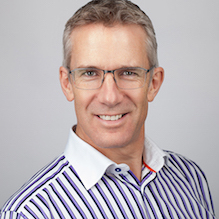 He has a proven track record in promoting and delivering innovative and appropriate technical strategies to meet the developing needs of client and business. Stani leads the HR team and is responsible for developing the HR strategy within Timeline. 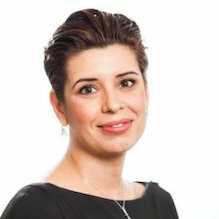 A CIPD qualified HR Manager, holding an MSc in Human Resources Management from LSE , Stani has over 10 years’ experience within the financial services, IT and engineering industries. She has worked in both global corporations and start-up environments. Martin Bailey manages all outside broadcasts for the business and works with clients from sport to light entertainment shows. Before this role, Martin was the Lead Resource Manager running the studio productions across BT Sport’s studio facility in Stratford, London. Before joining Timeline, Martin worked at Dock10 as the Sport Studio Manager looking after all sport output for studio/post facilitates working closely with the BBC. 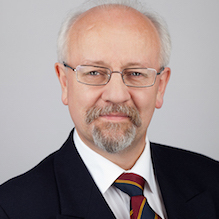 Roger Sewell is the Financial Director for Timeline. He advises the Board as to appropriate financial direction, develops business models, controls financial transactions and oversees new projects. 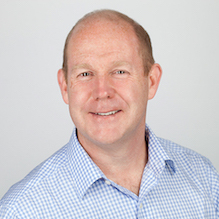 His previous experience, acting variously as FC, CFO, CEO for businesses across aerospace, pharmaceuticals, accountancy, integrated film studios and property development.